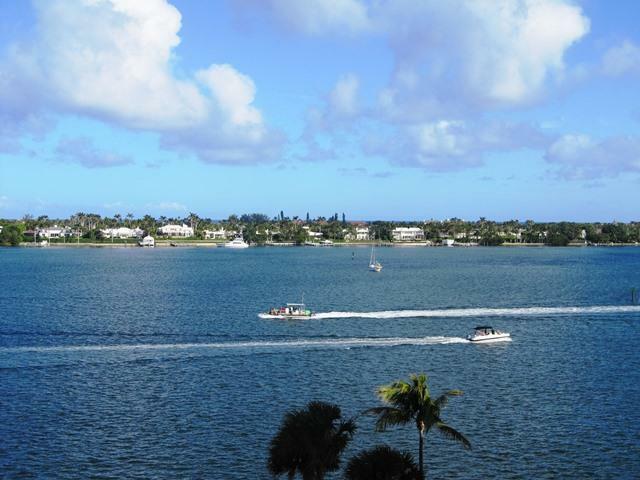 Incredible high-floor direct water views in renovated 1BR at the best kept secret in West Palm Beach. New flooring, new cabinets, granite counters, under-counter lighting, crown molding, hurricane shutters, smart thermostat, big rooms, gorgeous pool, gym, and so much more in full-service building. Count the boats from your Balcony directly overlooking the water. Fabulous location, walk to Northwood shopping and arts district. 1 Rental per year. Perfect for investor. vacationer, or full-time resident. Grab this fast!